← Safer networks and lower speeds needed – PACTS. 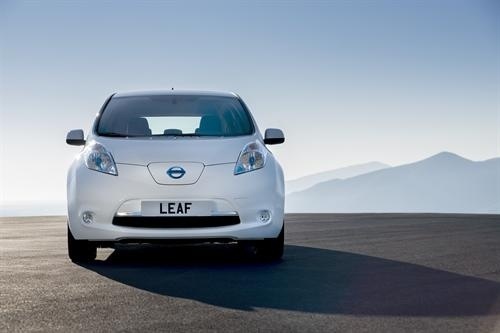 Sales of Nissan LEAF in the UK broke records in plate-change March. There’s just no stopping the 100% electric Nissan LEAF. The practical and affordable family hatchback has continued to hit the right note with Britain’s drivers, clocking up another bumper month in March, shattering yet another sales record. Figures released by the Society of Motor Manufacturers and Traders (SMMT) show the Nissan LEAF powered to an impressive 630 sales during March, up 155% on March 2013 (247 sold), topping September 2013 (the previous record month) when 332 were sold. This remarkable result in plate-change March tops a record-breaking first quarter of 2014 during which sales of the LEAF hit 898, up 47% on quarter three 2013 (612 LEAFs sold) which held the previous sales record. The figures underline the LEAF’s position as the UK market leader and provide further evidence that the British-built model’s class-leading range and running costs, coupled with its everyday usability, are keeping it well ahead of the chasing pack. In fact, the SMMT statistics reveal the Nissan LEAF outsold all other pure electric models combined by more than two-to-one. James Wright, Managing Director, Nissan Motor GB, said: ”The continued success of the Nissan LEAF comes as no surprise to those of us who have been involved with its development since the start. Designed from the wheels up as a 100% electric model, it blazed the trail for EV technology when it was launched and today it still leads the way. This entry was posted in automotive and tagged christopher macgowan, leaf, Nissan. Bookmark the permalink.